History happened in Manhattan on May 3! 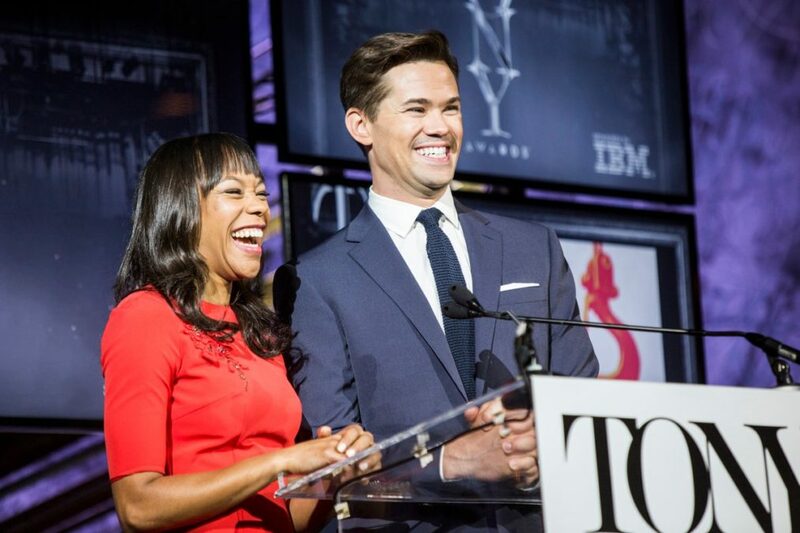 Tony winner Nikki M. James and stage and screen fave Andrew Rannells (who co-starred together in the Tony-winning tuner The Book of Mormon) woke up bright and early to announce the nominees for the 70th Annual Tony Awards. From Hamilton's record-breaking 16 nods to the snubs that had fans sobbing, the big announcement is sure to keep us talking well until the Tony Awards on June 12. Take a peek at James and Rannells looking radiant, smiley—basically everything we wished we looked like every morning before 9:00 AM, and congrats to all of the nominees!